Founded in 1811, Perrier-Jouët is one of the great historic French Champagne houses. It proposes one of its iconic vintages, signature of its unique style. An assembly of classic grape varieties from the region: the Pinot Noir brings character, the Pinot Meunier provides a floral, elegant touch and the Chardonnay rounds it off with fruity seductiveness. To enjoy as an aperitif or at the beginning of a meal. Enjoy with oysters or seafood. 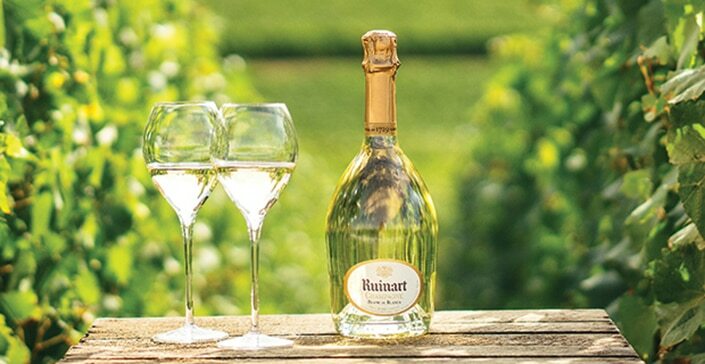 Perrier-Jouët Grand Brut has a beautiful, glossy golden yellow colour traced by delicate, persistent bubbles. On the nose, this is a very expressive vintage with white flower aromas (acacia, hawthorn), pear, grapefruit, white peach and cut grass. On the palate, a very balanced vintage, lively and rounded. Note the fruity aromas of apple, pineapple and citrus (pink grapefruit and mandarin). The finish has great persistence, run through with a hint of brioche.